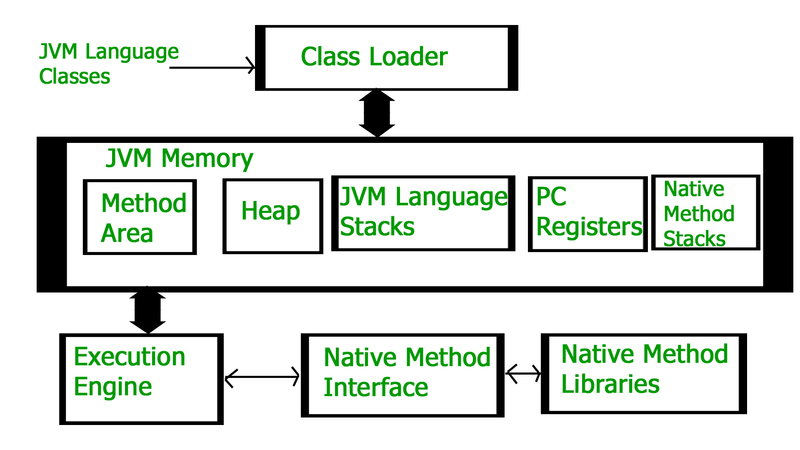 JVM(Java Virtual Machine) acts as a run-time engine to run Java applications. JVM is the one that actually calls the main method present in a java code. JVM is a part of JRE(Java Runtime Environment). Java applications are called WORA (Write Once Run Anywhere). This means a programmer can develop Java code on one system and can expect it to run on any other Java enabled system without any adjustment. This is all possible because of JVM. When we compile a .java file, .class files(contains byte-code) with the same class names present in .java file are generated by the Java compiler. This .class file goes into various steps when we run it. These steps together describe the whole JVM. It is mainly responsible for three activities. Loading : The Class loader reads the .class file, generate the corresponding binary data and save it in method area. For each .class file, JVM stores following information in method area. After loading .class file, JVM creates an object of type Class to represent this file in the heap memory. Please note that this object is of type Class predefined in java.lang package. 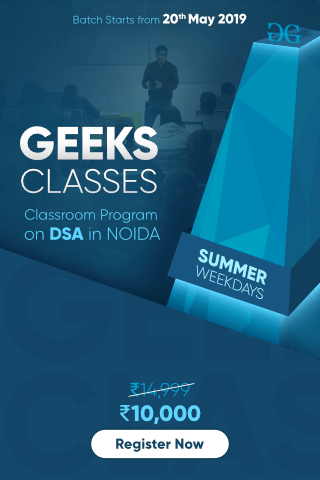 This Class object can be used by the programmer for getting class level information like name of class, parent name, methods and variable information etc. To get this object reference we can use getClass() method of Object class. Note : For every loaded .class file, only one object of Class is created. Linking : Performs verification, preparation, and (optionally) resolution. Verification : It ensures the correctness of .class file i.e. it check whether this file is properly formatted and generated by valid compiler or not. If verification fails, we get run-time exception java.lang.VerifyError. Initialization : In this phase, all static variables are assigned with their values defined in the code and static block(if any). This is executed from top to bottom in a class and from parent to child in class hierarchy. Bootstrap class loader : Every JVM implementation must have a bootstrap class loader, capable of loading trusted classes. It loads core java API classes present in JAVA_HOME/jre/lib directory. This path is popularly known as bootstrap path. It is implemented in native languages like C, C++. Extension class loader : It is child of bootstrap class loader. 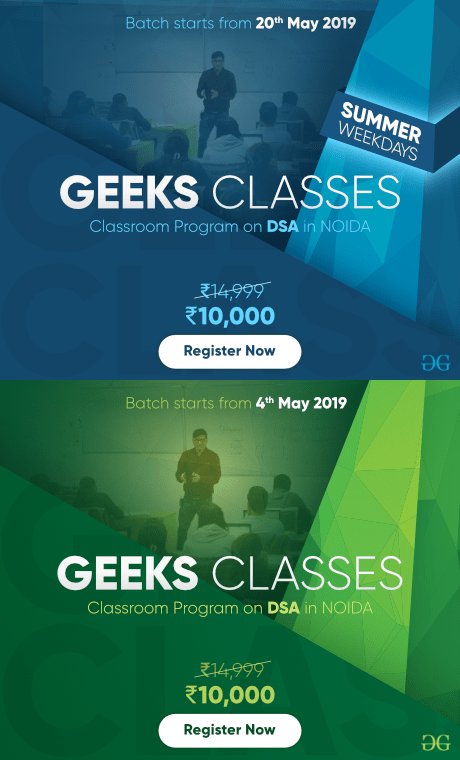 It loads the classes present in the extensions directories JAVA_HOME/jre/lib/ext(Extension path) or any other directory specified by the java.ext.dirs system property. It is implemented in java by the sun.misc.Launcher$ExtClassLoader class. System/Application class loader : It is child of extension class loader. It is responsible to load classes from application class path. It internally uses Environment Variable which mapped to java.class.path. It is also implemented in Java by the sun.misc.Launcher$AppClassLoader class. Note : JVM follow Delegation-Hierarchy principle to load classes. System class loader delegate load request to extension class loader and extension class loader delegate request to boot-strap class loader. 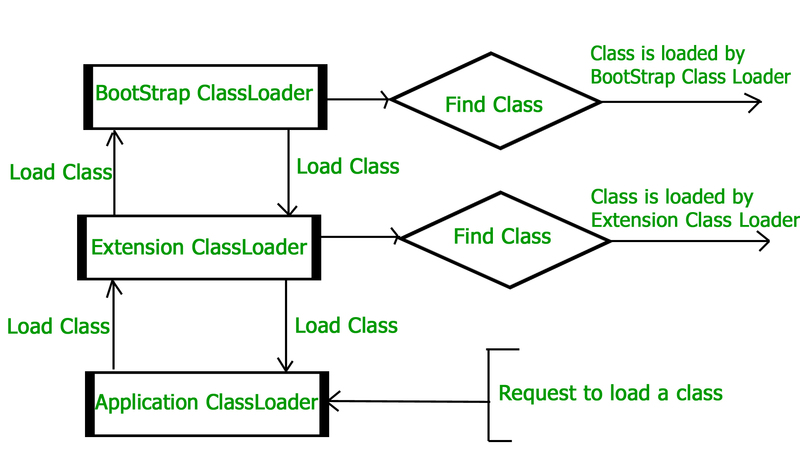 If class found in boot-strap path, class is loaded otherwise request again transfers to extension class loader and then to system class loader. At last if system class loader fails to load class, then we get run-time exception java.lang.ClassNotFoundException. 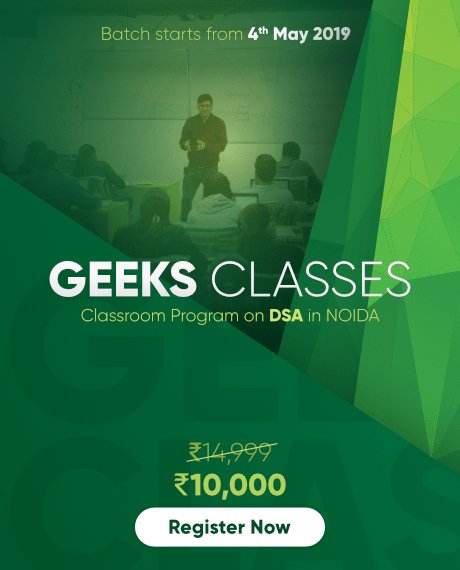 Method area :In method area, all class level information like class name, immediate parent class name, methods and variables information etc. are stored, including static variables. There is only one method area per JVM, and it is a shared resource. 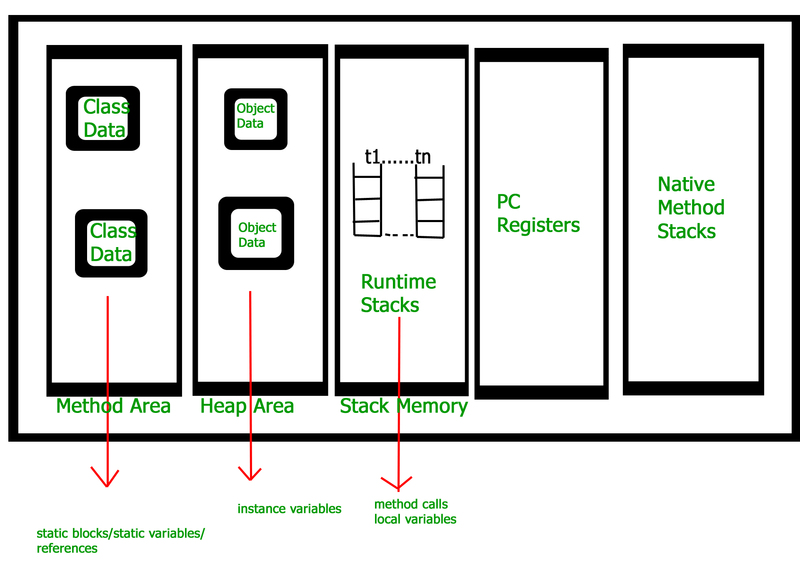 Heap area :Information of all objects is stored in heap area. There is also one Heap Area per JVM. It is also a shared resource. Stack area :For every thread, JVM create one run-time stack which is stored here. Every block of this stack is called activation record/stack frame which store methods calls. All local variables of that method are stored in their corresponding frame. After a thread terminate, it’s run-time stack will be destroyed by JVM. It is not a shared resource. PC Registers :Store address of current execution instruction of a thread. Obviously each thread has separate PC Registers. Native method stacks :For every thread, separate native stack is created. It stores native method information. Interpreter : It interprets the bytecode line by line and then executes. The disadvantage here is that when one method is called multiple times, every time interpretation is required. Just-In-Time Compiler(JIT) : It is used to increase efficiency of interpreter.It compiles the entire bytecode and changes it to native code so whenever interpreter see repeated method calls,JIT provide direct native code for that part so re-interpretation is not required,thus efficiency is improved. Garbage Collector : It destroy un-referenced objects.For more on Garbage Collector,refer Garbage Collector. It is a interface which interacts with the Native Method Libraries and provides the native libraries(C, C++) required for the execution. It enables JVM to call C/C++ libraries and to be called by C/C++ libraries which may be specific to hardware. It is a collection of the Native Libraries(C, C++) which are required by the Execution Engine.